Trade Is Key Driver of Economic Success. Please Don’t Undermine It. Editor's Note: This editorial was co-written by Sara Hunt and Karla Jones. Karla Jones is Director of the ALEC International Relations and Federalism Task Force. Americans are accustomed to taking a lot of things for granted. One of those things is trade. Americans expect to access a wide selection of goods from other countries. We expect U.S. companies who identify customers elsewhere will be able to send some of their products overseas. We also take for granted that U.S. trade laws are there to help facilitate trade, to keep it running smoothly and to penalize those who attempt to cheat and export goods to our country unfairly and in violation of international trade norms. What we don’t expect is for American companies to use our trade laws to bail themselves out of a bind, regardless of what it does to other American companies or American consumers. But unfortunately, two small solar companies appear willing to do just that, whatever the consequences may be for others. 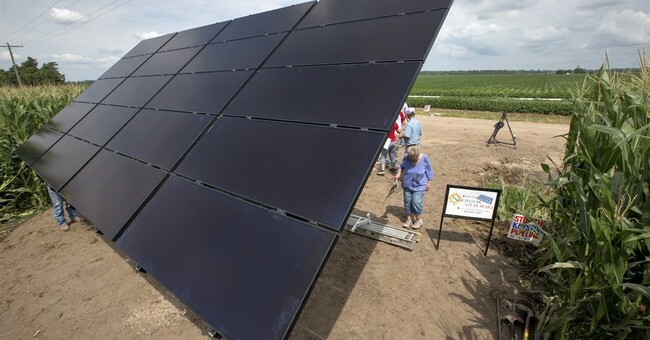 If this petition is successful, the government will erect trade barriers that will artificially increase the price of their foreign competitors’ goods and double the cost of solar panels in the U.S. According to analysts, this action will essentially wipe out one of the fastest growing “all of the above” energy jobs sectors in states across the country—solar energy installation. Last year alone, the solar industry created 51,000 new jobs. That’s one in every 50 new jobs created in the United States in 2016. Today’s solar industry is providing jobs to some 260,000 workers in this country, an enormous leap from only a few years ago. Many of those workers are employed by other solar companies that have successfully figured out how to prosper in this growing industry. Over 38,000 solar workers are employed in manufacturing positions at firms domestically making solar components like inverters, racking systems and more. Guess what happens if one doubles the price of solar panels in America? This thriving industry will quickly succumb to tough competition from natural gas, coal and other forms of energy. Those 38,000 manufacturing jobs might disappear if artificially high input costs price the entire industry out of existence. Just ask the domestic steel industry, which blends tens of thousands of domestic jobs after the last successful Section 201 petition slapped tariffs on imported steel. The U.S. International Trade Commission will now try to determine to what extent these two companies’ own self-inflicted wounds drove them into the ground versus how much responsibility for their situation is due to unfair overseas competition. The companies likely hope to hide behind President Trump’s strong statements about saving U.S. manufacturing jobs, hoping that his administration won’t notice the disastrous downstream effects on many more manufacturing jobs that will follow from penalizing their overseas competition. Because energy is ubiquitous, we seldom think about the technological leaps and tough competition that drive the sector forward. Energy innovation is another one of those things we take for granted. But if Suniva and SolarWorld successfully manage to use U.S. trade law to seek shelter from foreign competition, the solar industry arrow in our energy portfolio quiver will diminish before our very eyes. Americans compete fiercely and, left alone, will find a way to prosper in the end. Handing out trade protection for two bankrupt solar manufacturers is no way to incentivize economic growth or innovative thinking. It simply sends a lesson that the government might swoop in to prop up your failing enterprise. That hardly sounds like the kind of message about doing business in America that President Trump wants to embrace. If President Trump’s administration is serious about carrying out their mission to strengthen the U.S. economy and enhance our energy independence, there is no better way to do so than to put a stop to this opportunistic attempt to seek shelter behind our country’s trade laws. The ITC should save U.S. trade protections for those who deserve it.